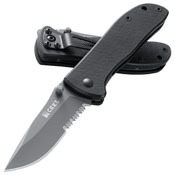 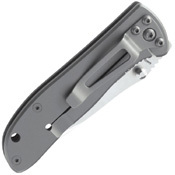 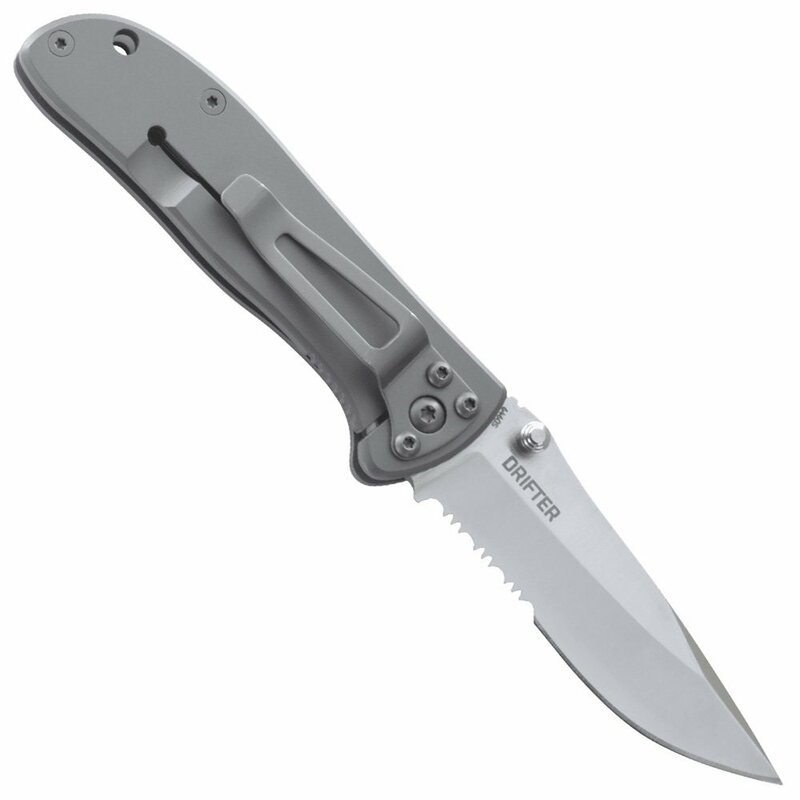 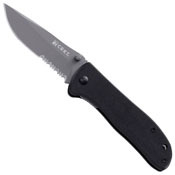 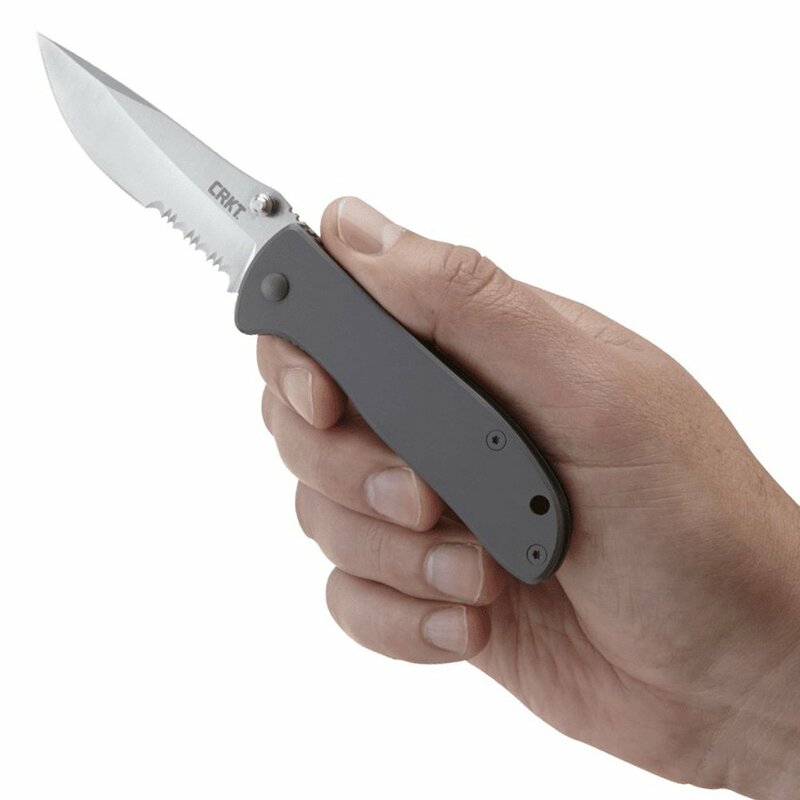 The CRKT Drifter Serrated Edge folding knife is a no frills pocket knife, designed to beat tough cutting tasks. Simple and clean, this EDC folder has a versatile drop point blade with a combo edge for ripping through any material. 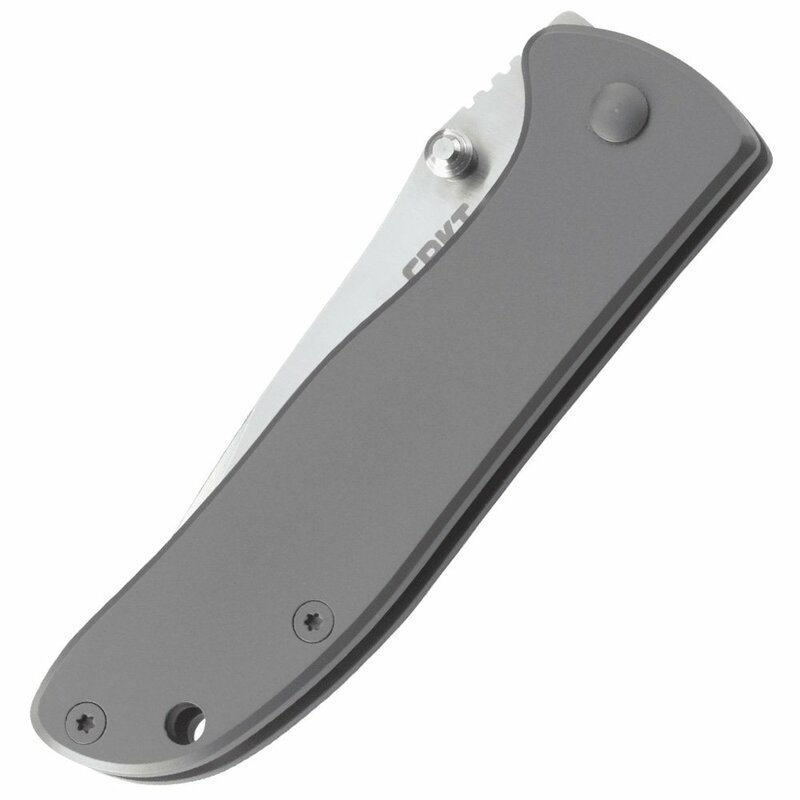 The strong stainless steel handle can be personalized with laser etching or engraving and features a lanyard hole and tip up pocket clip. 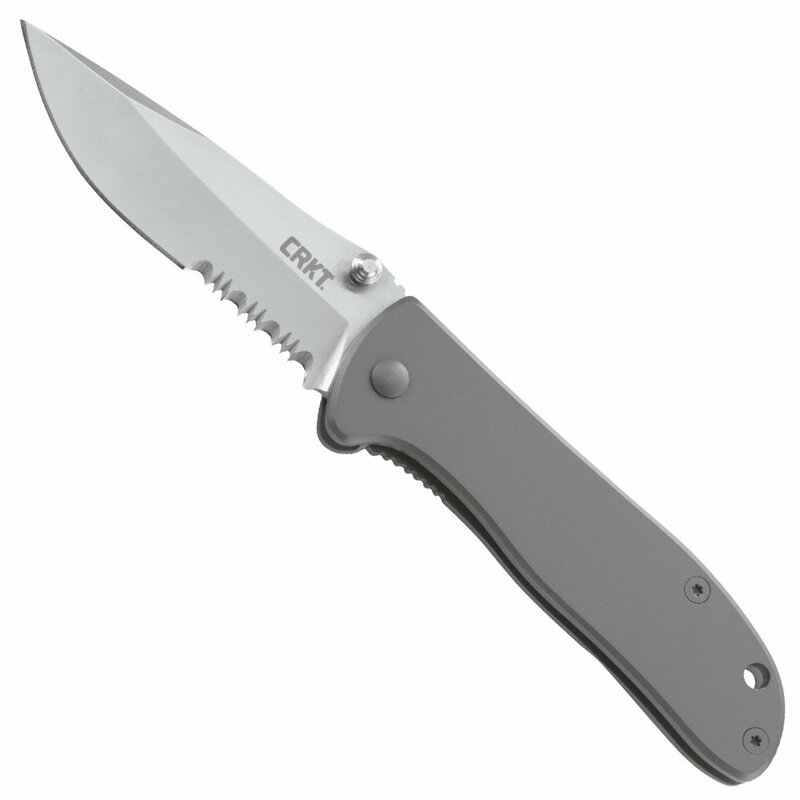 Veff serrations are a CRKT exclusive feature, designed by renowned knife and toolmaker Tom Veff. As opposed to traditional serrations, which are positioned at 90 degrees, Veff Serrations have a 50-degree angle, giving them a much wider cutting edge.